Aga Khan Development Network (AKDN) has announced Prosperity Cup 2016 to encourage young men and women from Gilgit-Baltistan and Chitral (GBC) in starting their own business. 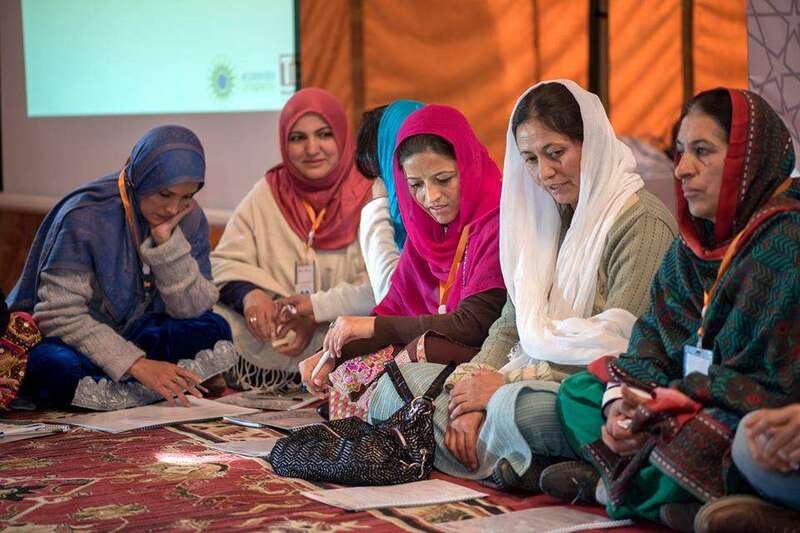 The project is being implemented through Aga Khan Rural Support Program (AKRSP) in association with The Indus Entrepreneurs (TiE) Islamabad chapter. The vision of Prosperity Cup is to inculcate an entrepreneurial culture across Gilgit-Baltistan and Chitral (GBC) through the implementation of business model based competitions, mentorship-based incubation and investment. Here is a snapshot of the whole incubation process from start to a level where a startup can be eligible to get investment and funding. Islamabad – August 29, 2017: Expanding its digital footprint to the far-flung and underserved areas of the country, Pakistan’s premier telecom, and digital services provider, Telenor Pakistan has launched its mobile agriculture advisory service ‘Khushaal Zamindaar’ in Gilgit – Baltistan. Launched in collaboration with Market Development Facility (MDF), the innovative service will provide localized and customized advisory services to facilitate local farmers in increasing their agricultural yield. The high-spirited launch event was held at a local hotel in the provincial capital, Gilgit. The honorable guests include MDF, members from Agha Khan Rural Support Program (AKRSP), Japan Inter Cooperation Agency (JICA), International Fund for Agricultural Development (IFAD), media persons, community leaders, female farmers of Gilgit and Telenor Pakistan officials. ‘Khushaal Zamindaar’ is Telenor Pakistan’s innovative and industry-first initiative, initially launched in Punjab to help small scale farmers to adopt modern and best practices in agriculture. It provides localized, contextualized and customized information including weather forecasts, timely agronomic & livestock advisory through SMS and robot calls to help increase crop yield, reduce post-harvest losses, safeguard nutrition and better manage adverse climatic effects and natural resources. Currently, more than 04 million small scale farmers subscribe to this free of cost service covering a range of cash crops, fruits and vegetables, fodders and livestock and 20 percent of them are women farmers. The mobile agriculture service in Gilgit – Baltistan will provide location based weather forecast and information about value chains like Apricots, apple, potato and other crops cultivated in the region. The service shall also benefit the farmers who rear livestock, potentially transforming the domestic use to commercial benefits in the long run. Punjab IT Board’s Grand Herself Women Convention (HWC) is all set to take place on the 8th of July, 2017 at Arfa Software Technology Park, Lahore. The day-long event is being organized on the 1st anniversary of the women empowerment initiative of Punjab IT Board –‘Herself’driven by Dr. Umar Saif, Chairman PITB. Facebook, being the official partners for this event, shall be pooling in their best human resource all the way from Facebook Head Quartersto conduct activities and competitions at the convention for women in Pakistan to benefit from. The day-long event promises to bring you various exciting sessions, panel discussions featuring significant names in the industry including Seema Aziz, owner of the Bareeze and the only woman from Pakistan listed in Forbes 500, Dr. Amjad Saqib, Founder and Executive Director of Akhuwat, Zainab Abbas, the famous ‘selfiekawaar’ sports journalist, Ms. BushraAman, Secretary Women Development Department, Fizza Farhan, Global Development Advisor / Member – UN HLP, Rafia Qaseem Baig, the brave soul – Asia’s first woman bomb disposal squadron and Samar Khan the first women in the world to ride cycle on the Karakoram Mountains of Gilgit Baltistan. Furthermore, there are some really cool workshops designed by Herself’s local partners, motivational talks by successful entrepreneurs for all those looking for inspiration in their lives, a ‘Herself Enclosure’ that shall feature the best of Herself graduates displaying their work and the most interesting part is the theatre play and much more. This grand convention revolves around the theme ‘Steps towards a progressive nation’ focusing on breaking stereotypes of women heroes.It highlights the contribution of women to the economy of Pakistan and aims to help young women build their network with successful women in various fields. Furthermore, it encourages them to redefine and idealize women who have dedicated their lives to improve this country. The aim of this powerful convention is to gather wonder women from all across Pakistan to highlight the success of their work in multiple domains and motivate young women to step in the workforce to contribute in the economy. In a country where 48% population is women and only 28% contribute to the economy, the issues are not only of policy but also of motivation. The convention is designed to cater all such problems existing in our society. ‘Herself’ is calling out all entrepreneurs, students, graduates, employees, housewives, and those who are beginning their careers to come and be a part of this convention with the surety that you won’t leave empty handed. “I invite you all to this one of a kind conference.” he concludes. Through this convention, PITB hopes to highlight and celebrate women on a national level and let everyone know of their struggles and successes. This will also serve the attendees by providing them inspiration and direction for their careers. All those who are seeking inspiration and guidance are encouraged to join.